Tony Ibarra was called home to be with his loving parents on January 14, 2019. Tony was born on August 16, 1977 in Twin Falls, Idaho. He was raised on his parent’s small ranch three miles north of Gooding, Idaho. He enjoyed helping his family work on the ranch. His father also operated his own trucking company and Tony always enjoyed helping him on Sundays doing maintenance on the truck to get it ready for Monday morning. Tony was educated through the Gooding school system. In addition to how important his classes were to him, he played football, and also developed an uncanny ability to develop relationships with classmates from all walks of life. He always wanted all people to feel like they were included and part of the group. This unique ability along with his ability to make people laugh continued throughout his life. After Tony graduated from Gooding High School in 1995, he was employed by many different employers in the Magic Valley. Two employers that he enjoyed working for included the Gooding Seed Company, and The Catalyst Product Group located in Buhl, Idaho. In 2003 Tony, along with two partners, put together and opened the Hangar Bar in Boise, Idaho. It was successful in the years that it was open and he took great pride in this accomplishment. 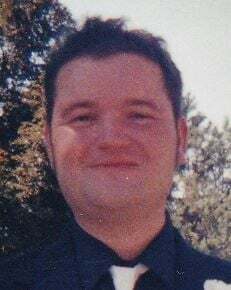 Tony is survived by: his brother Dan (Jenn); his nephews, Carsen, Jenson, and Bennett; his grandmother, Dolores Rork; and his cousins, Carmen, John, Chelise, Julie, and their respective families. He was preceded in death by: his parents Justo and Diana Ibarra; his grandfather, Kenneth Rork; his great grandmother, Susie Shaw; and numerous aunts and uncles. What his family would hope people remember the most about Tony is how generous he was. If you were short on money, more likely than not he would give it to you, if you needed a place to stay he had a couch for you to crash on, and he always picked up the tab no matter where he was, or who he was with. He never expected nor wanted repayment for his generosity. He will be missed by his family and his numerous friends, all of whom can all tell you a story about some moment in time they had spent with Tony that they remember fondly. A celebration of life will be held on Wednesday, January 23, 2019 at 11 a.m. at Demaray Funeral Service – Gooding Chapel. Services will conclude at the chapel. 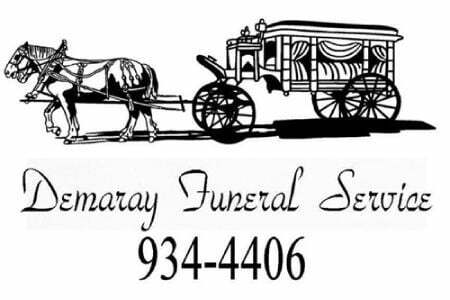 Cremation arrangements are under the care and direction of Demaray Funeral Service. Condolences, memories and photos can be shared with the family by following the obituary link at www.demarayfuneralservice.com.